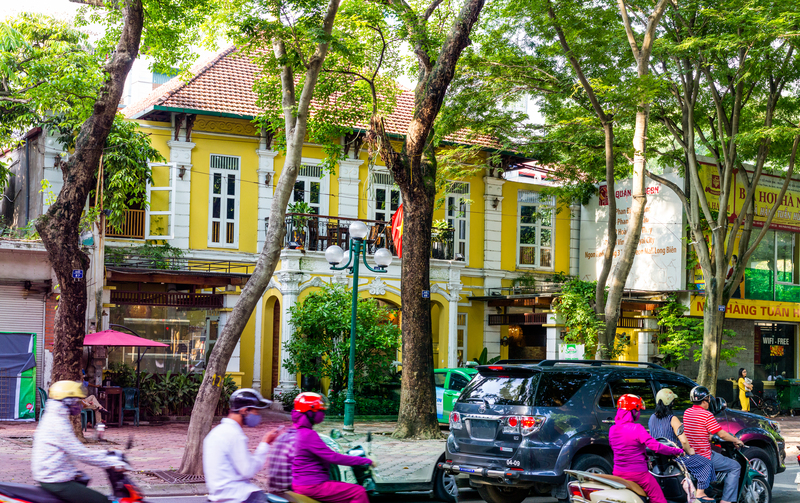 The Old Quarter in Hanoi is the perfect place to stroll around and take in everything that this charming area has to offer. 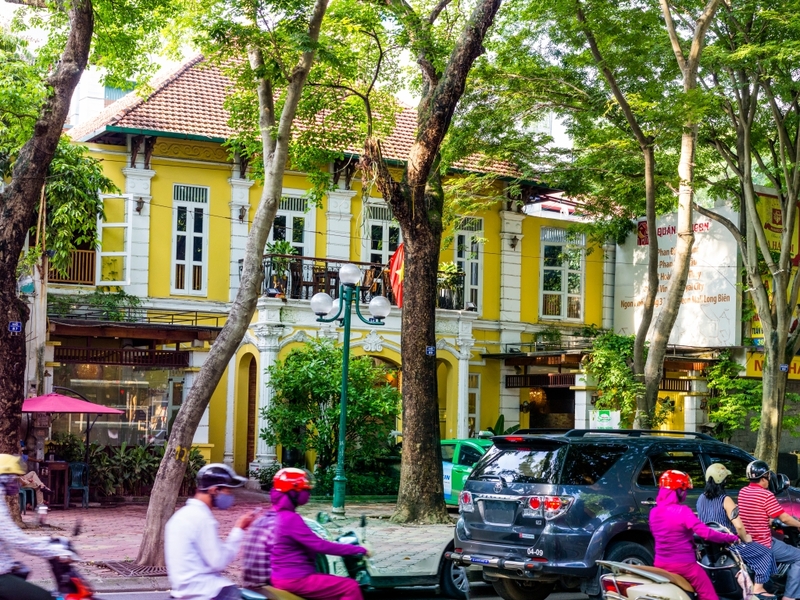 It consists of 36 streets, a maze of well-preserved French colonial houses, intertwined with a warren of narrow streets and alleys, all sprawling out from Hoan Kiem Lake in the centre of the city. There is no embarrassment in getting lost here so put the map away that you were given at your hotel or hostel and stroll casually. The Old Quarter never sleeps, meaning there is always something to do. Each of the streets are named after the goods or services they sell. Therefore, all of the shops selling art, silk, shoes, etc will be adjacent to each other. 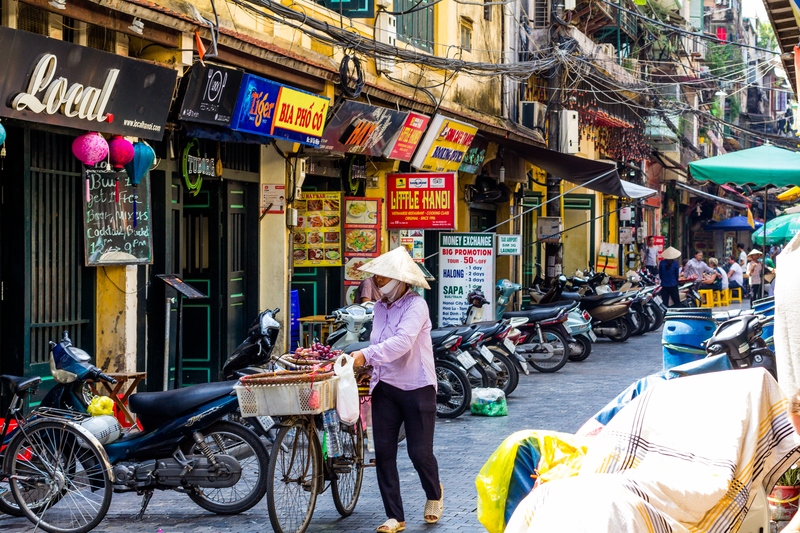 If you are thinking of things to do in the evening during weekends, the night market runs through the Old Quarter selling everything from souvenirs to food to clothing. 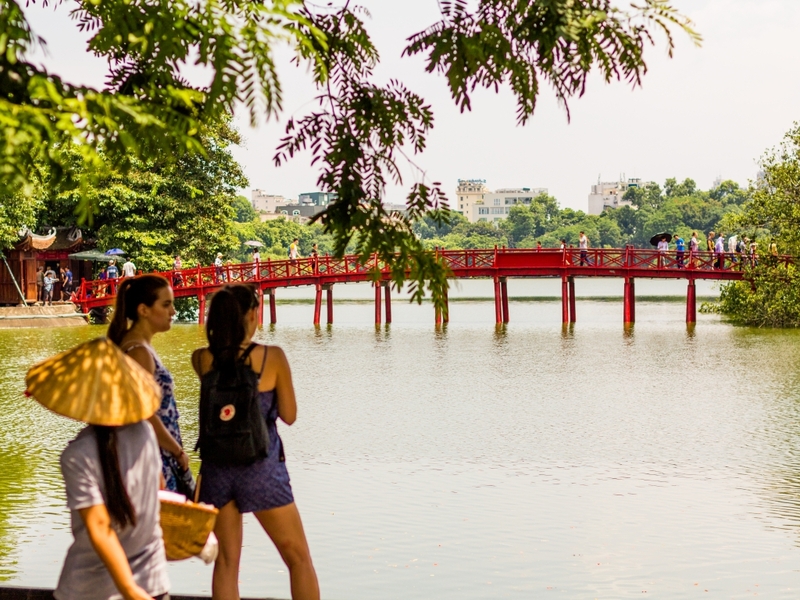 Hoan Kiem lake is a must-see on your list of tourist attractions in Hanoi and is situated in the heart of Hanoi’s Old Quarter. It is a relaxing place to walk around and take pictures of the scenic trees and flowers or stop for a coffee and enjoy the views. Take pictures of the Turtle Tower, which is situated on an island in the middle of the lake. 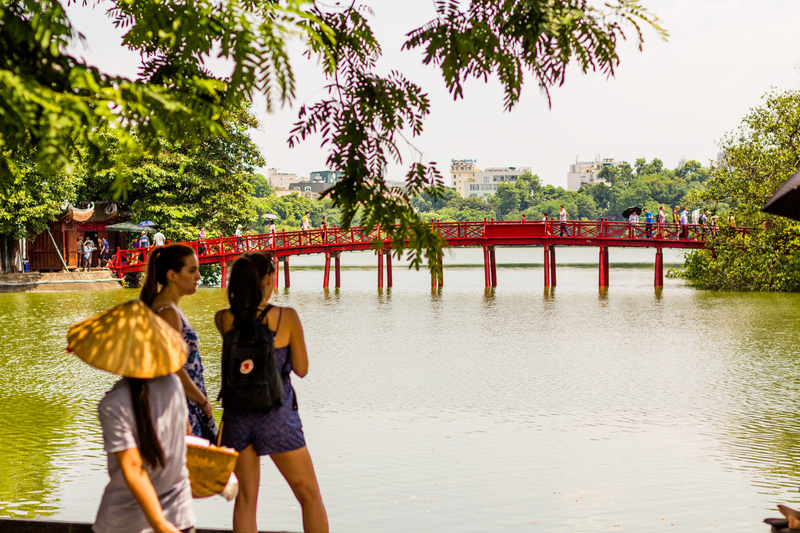 On the North Eastern part of the lake you will find Jade Island, which can be accessed via the spectacular wooden Huc Bridge. 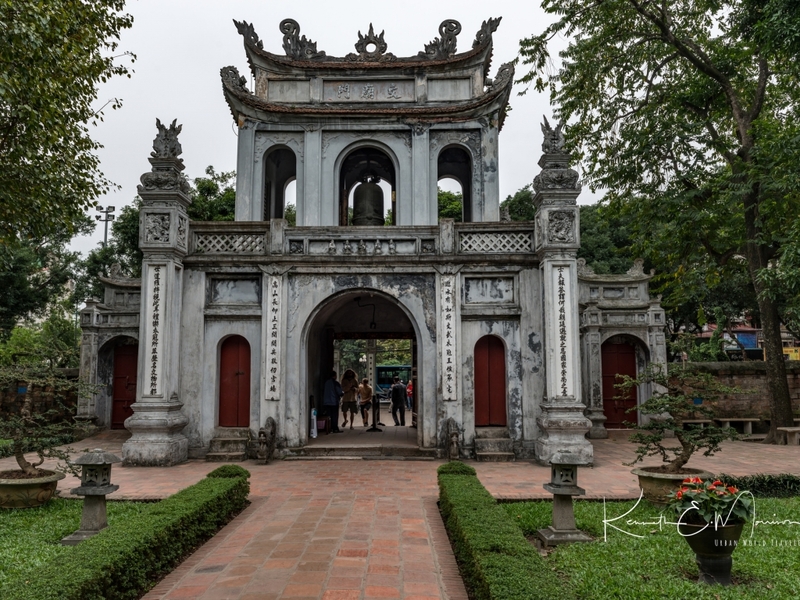 This bridge leads to the Ngoc Son Temple, which was built in the 18th century. It is spectacular! 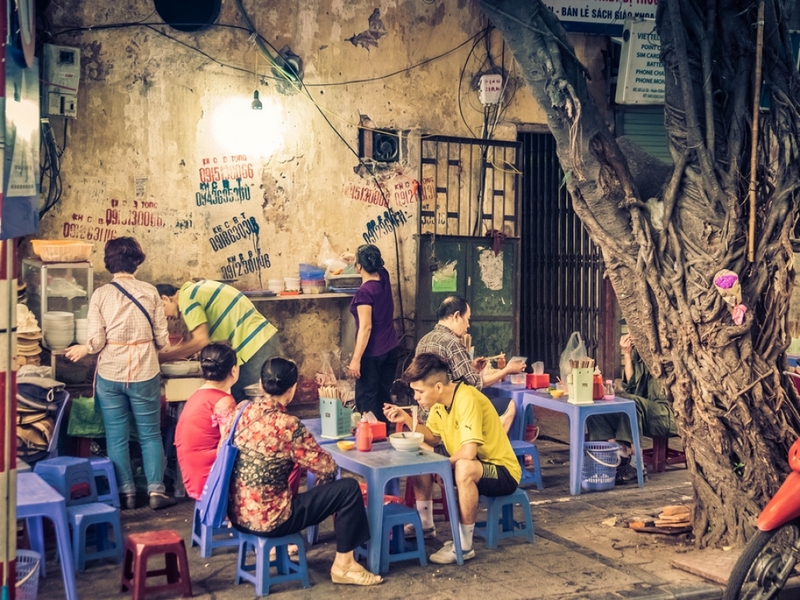 Hanoi is a food haven. The national dish of Vietnam is called pho, which is a delicious noodle broth consisting of fresh herbs, some chilli and either chicken or beef. 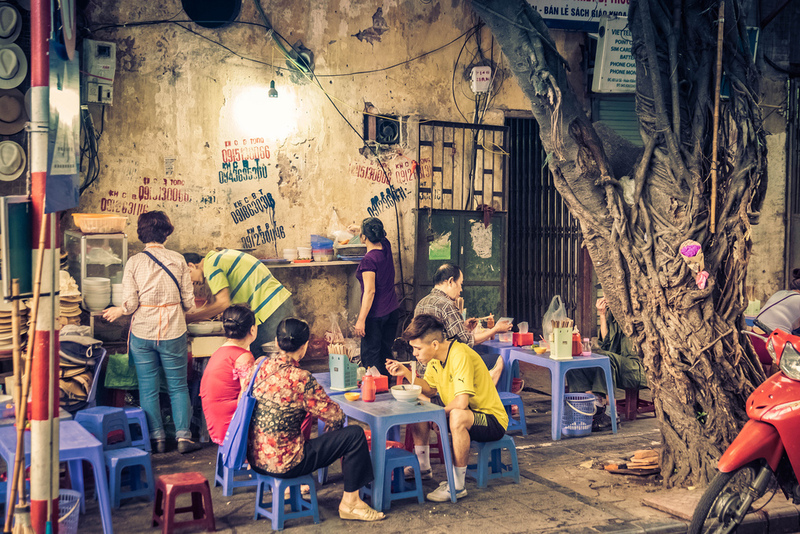 Every street is filled with areas where you can sit on a tiny plastic chair and enjoy authentic street food with the locals. Most tourists tend to stay in their comfort zone and opt for the high chairs in the restaurants with air-conditioning. That’s great, but you are in Hanoi so bite the bullet and have some street food. 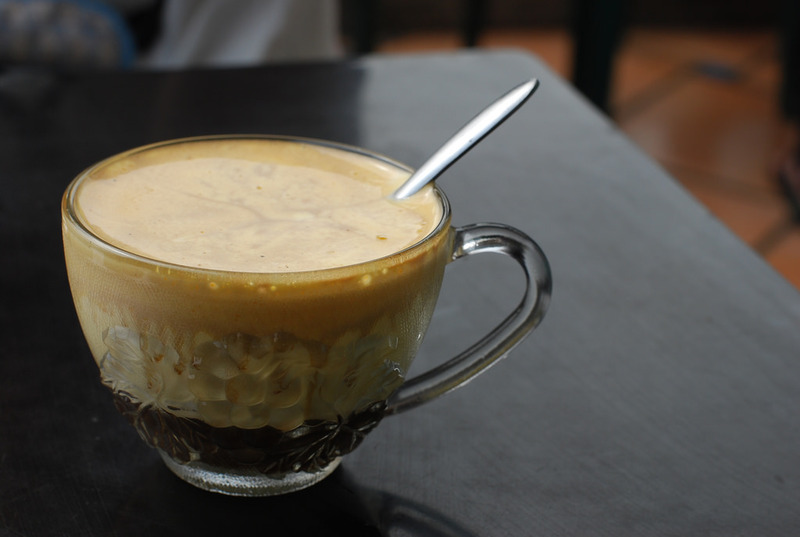 Egg coffee consists of a very small glass of strong, aromatic sweet coffee, whipped with egg, and sweetened with condensed milk. It is definitely a must-try when you visit Hanoi. 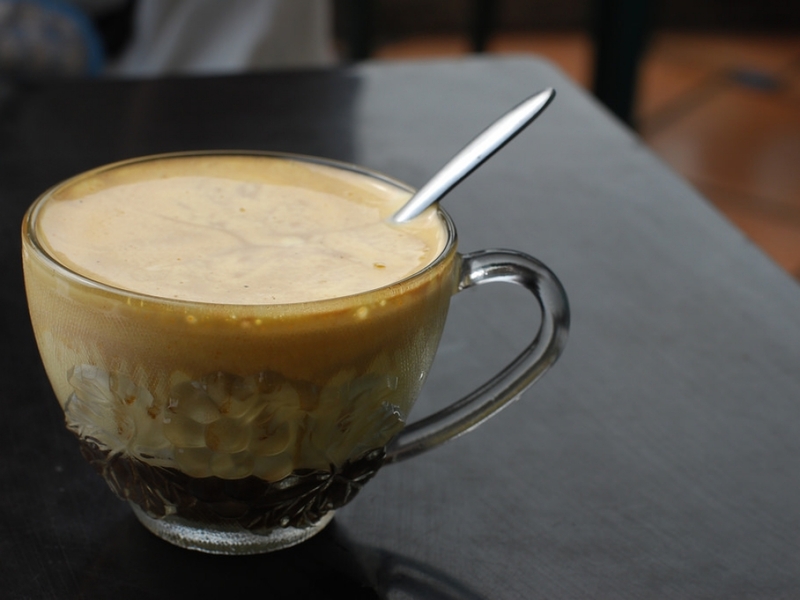 By the way, we know the egg bit may sound strange but the Vietnamese have somehow put eggs in coffee and made it rather delicious. 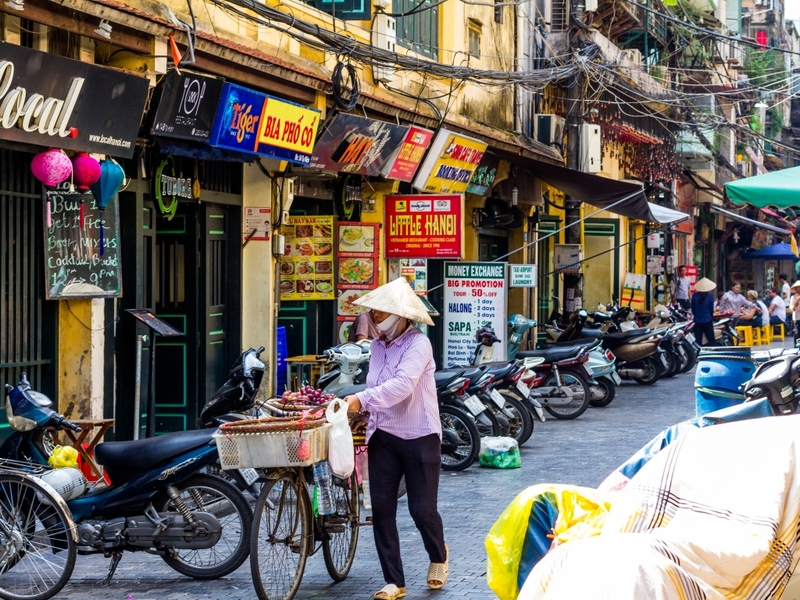 The Old Quarter in Hanoi is completely buzzing with traffic, where motorbikes and cars drive around all over the place. 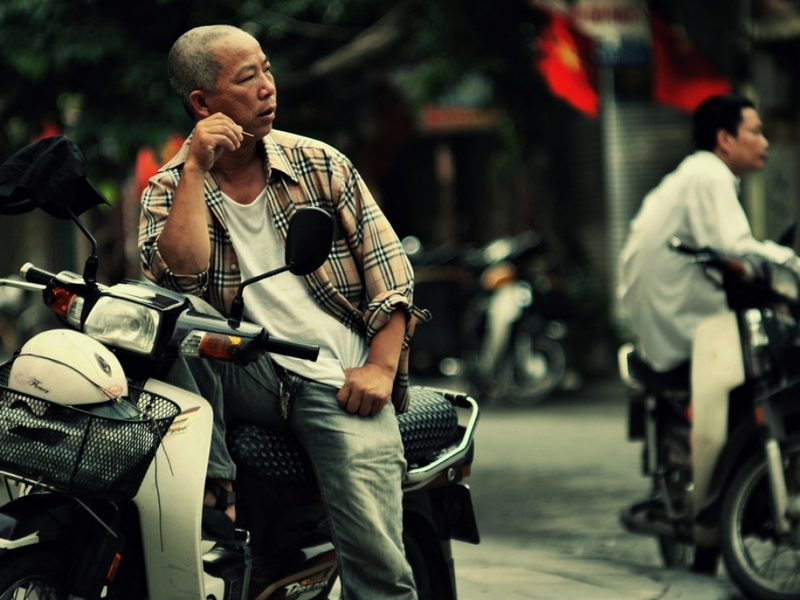 If you think you have done it all before try crossing the street in Hanoi. In order to do so will involve temporarily putting your common sense and sanity to one side. Pedestrian crossings are simply something to speed over, traffic lights are ignored and one-way streets are treated like your own back yard. 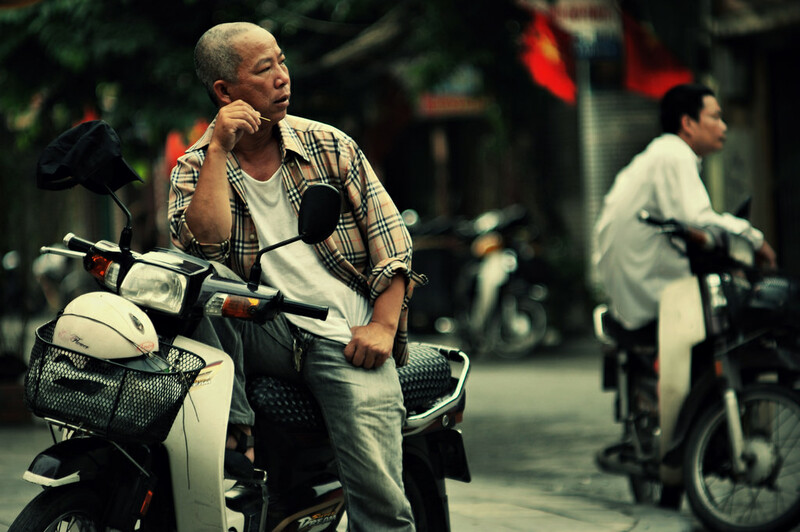 One of the simplest ways to cross the street is to follow or walk beside a local who knows what they are doing. Otherwise just walk straight into the fire of oncoming cars and motorbikes. The first two or three attempts may seem daunting but eventually you will get the hang of it. The whole point is not to hesitate while crossing; the motorists know that you will be walking out, and will bizarrely calculate their path and speed based on you maintaining your walking pace. 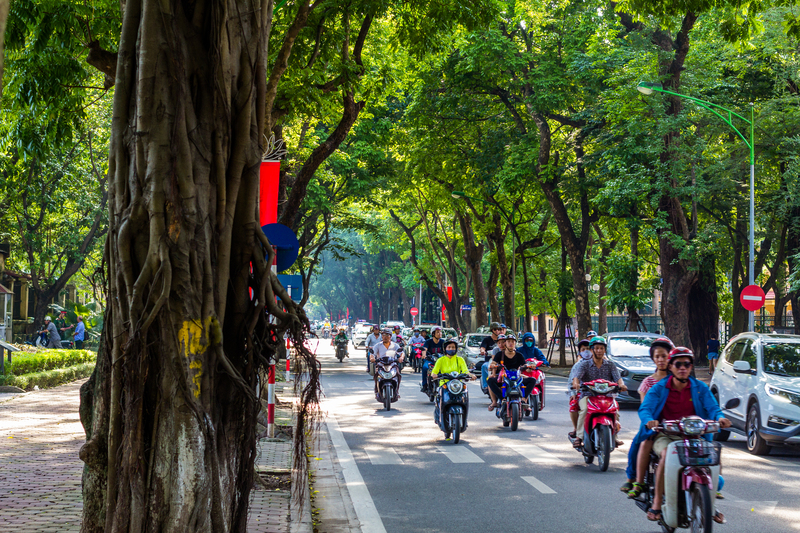 “Hello… hello… motor… motorbike…” This is how Vietnamese motorbike taxis approach tourists in Hanoi in an attempt to convince them to get on their bike for a ride. 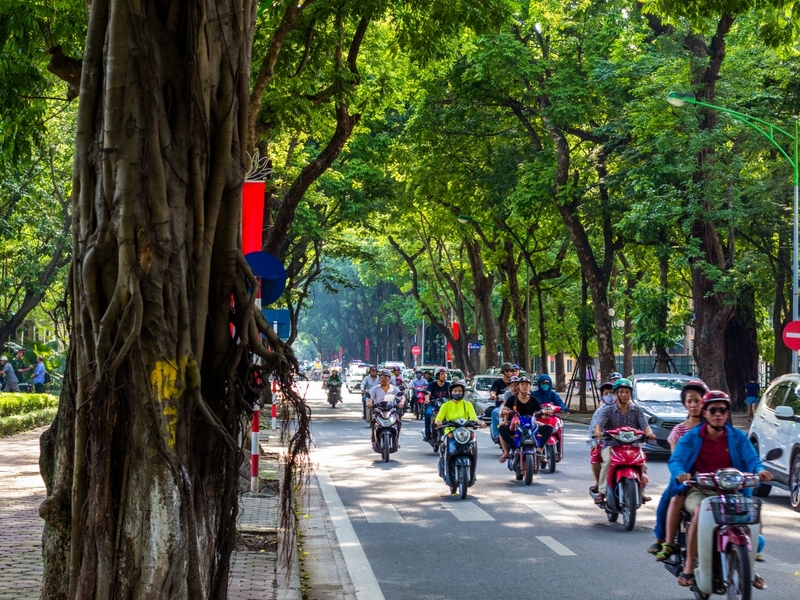 Taxis are great but hopping on the back of a motorbike taxi is definitely exhilarating and one of the fun things to do in Hanoi. You will find them on every street corner day and night. 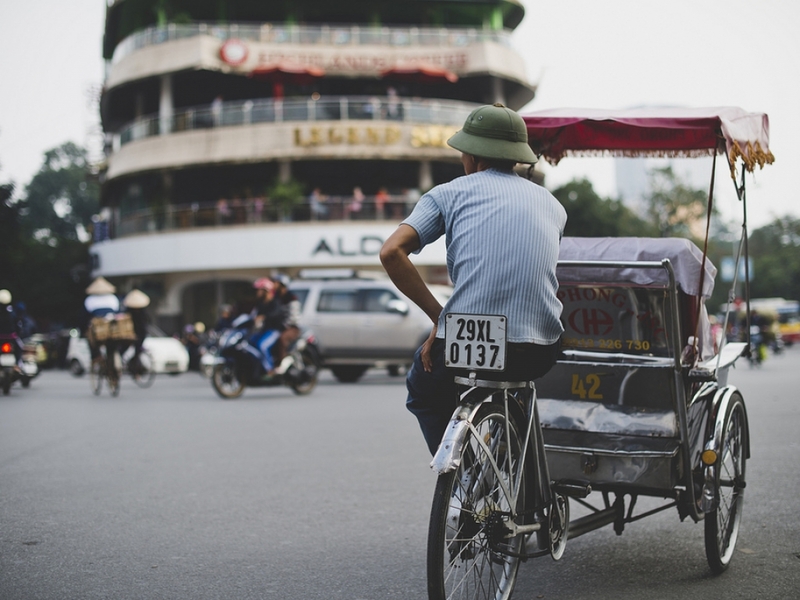 The Vietnamese call these motorbike taxis ‘xe om’. Ensure that you negotiate a fare in advance, with some haggling of course. 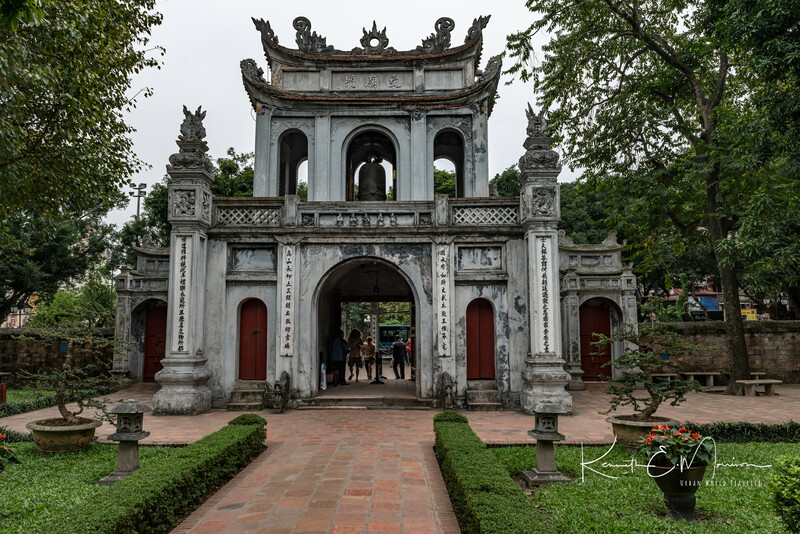 Sample traditional Vietnamese architecture by seeing the Temple of Literature. It acquired its name during the 19th century, and now serves as a place where mostly students come and make a wish and ask for success in their study life. You can also join in like the locals and have your wish written out by one of the calligraphers at the temple. The Temple is a gorgeous structure spread across a series of courtyards. A definite must-see! 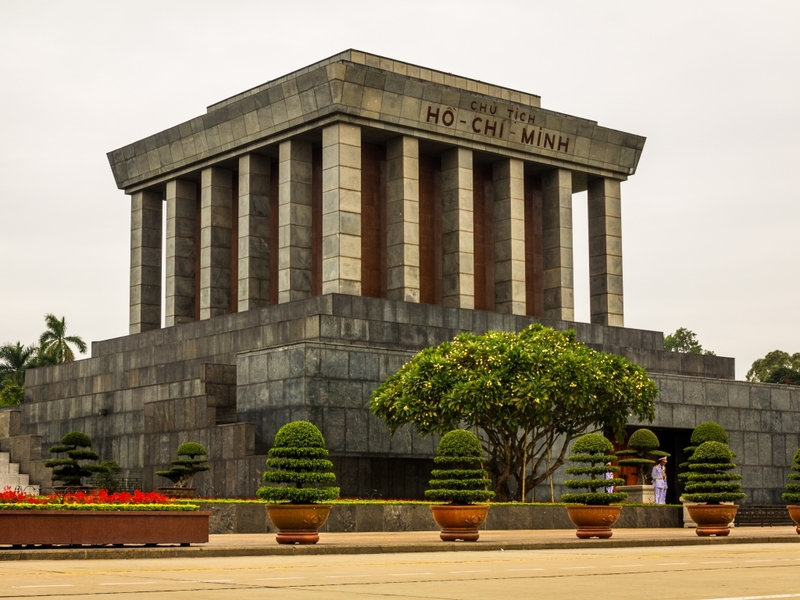 The Ho Chi Minh Mausoleum is one of the most visited attractions in Hanoi and should definitely be on your list of things to do. Ho Chi Minh was an iconic figure in Vietnam during the second half of the 20th century. He was a very popular leader and is ever-present in Vietnam, and is represented in almost every public building of significance. 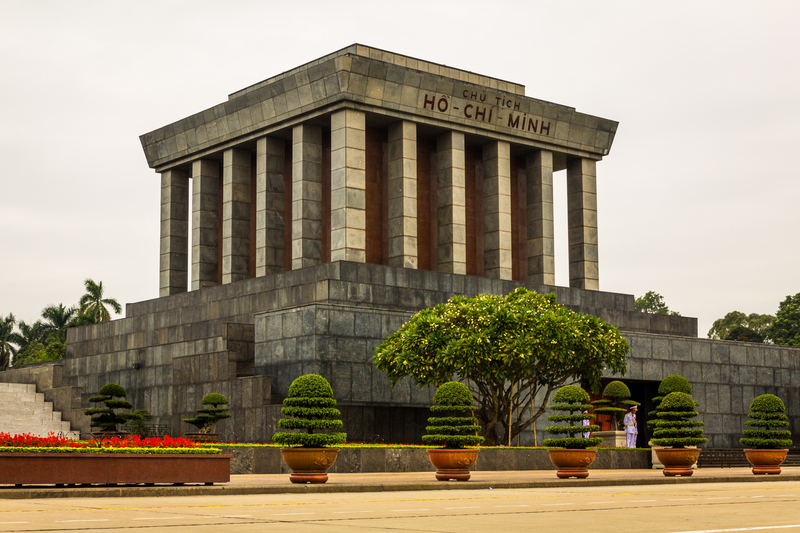 The Mausoleum is the last resting place of Ho Chi Minh and his body is preserved there. 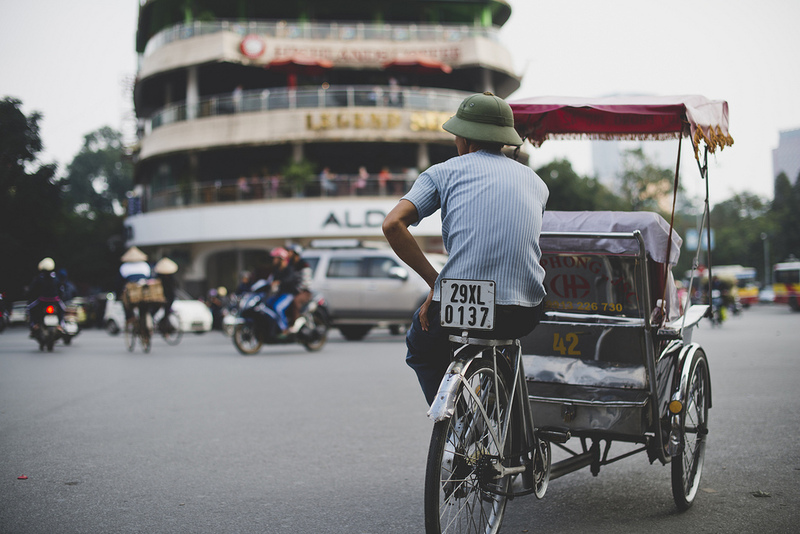 Walking around in the Old Quarter can be tough on the feet so if you fancy a rest why not take a relaxing tour while sitting comfortably on a cyclo? It is well worth it and the riders are very friendly and will indicate points of interest as you ride along. Stepping out of your hotel or hostel will put you in the epicentre of mayhem. The traffic in Hanoi is chaotic and full of bikes and cars in all directions but somehow organised. It’s crazily busy, it’s loud and it’s totally awesome!